Stephen Cohen's SAC Capital has agreed to pay a record $1.8 billion in fines and will no longer invest money for outsiders to settle insider trading charges. 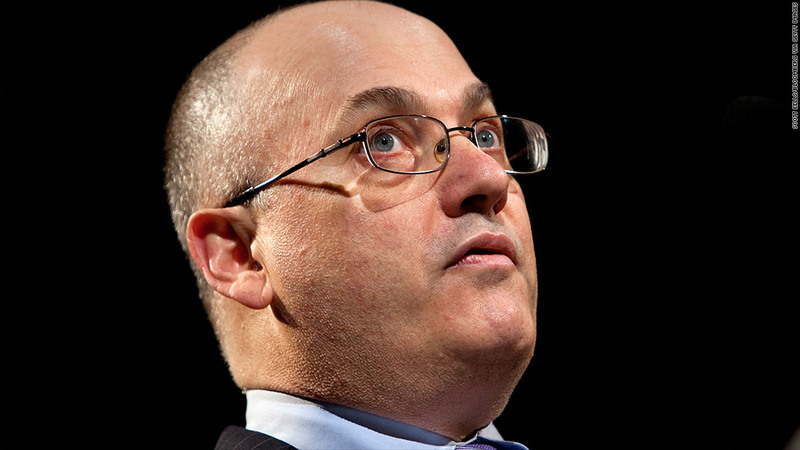 Hedge-fund billionaire Steve Cohen's SAC Capital has agreed to plead guilty to criminal insider-trading charges and pay a record $1.8 billion fine, federal prosecutors announced Monday. In addition, prosecutors say SAC will close its investment advisory business, meaning it will no longer manage money for outside investors. The deal still allows the firm to operate as a "family office," with Cohen and others at SAC investing their own money. Cohen is one of the country's most famous hedge fund managers, with a net worth estimated at $9.4 billion in September. He could still face criminal charges of his own since the agreement does not include any immunity for individuals at the firm. "What SAC Capital's plea demonstrates is that cheating and breaking the law were not only permitted, but allowed to persist," FBI Special Agent in Charge April Brooks said. "It was nothing short of institutional failure." The deal still awaits approval from a judge. Preet Bharara, U.S. Attorney for the Southern District of New York, said the government's investigation remains ongoing. SAC had long denied allegations of systemic insider trading, but with Monday's plea, the firm accepted culpability and agreed not to contest the government's allegations. "We take responsibility for the handful of men who pleaded guilty and whose conduct gave rise to SAC's liability," the firm said in a statement. "The tiny fraction of wrongdoers does not represent the 3,000 honest men and women who have worked at the firm during the past 21 years. SAC has never encouraged, promoted or tolerated insider trading." Outside investors have been fleeing SAC this year as its legal problems have mounted. SAC managed $15 billion as of Jan. 1, but that total has since dropped to roughly $9 billion, nearly all of which is from Cohen and his employees. In March, SAC agreed to pay the SEC roughly $616 million to settle civil charges related to alleged insider trading by employees. Prosecutors say that payment will be credited to the amount owed in Monday's plea agreement, meaning that the firm will pay an additional $1.2 billion. The firm's guilty plea follows a multi-year effort that Brooks called "the largest insider trading investigation in history." At a news conference, Bharara declined to comment on the possibility of criminal charges against Cohen. But he said: "We are not shy and we are not unaggressive." The decision to bring criminal charges against the firm was a significant step. Prosecutors have generally been reluctant to indict companies since accounting firm Arthur Andersen collapsed a decade ago -- taking down nearly 28,000 jobs -- after being convicted in connection with the Enron scandal.